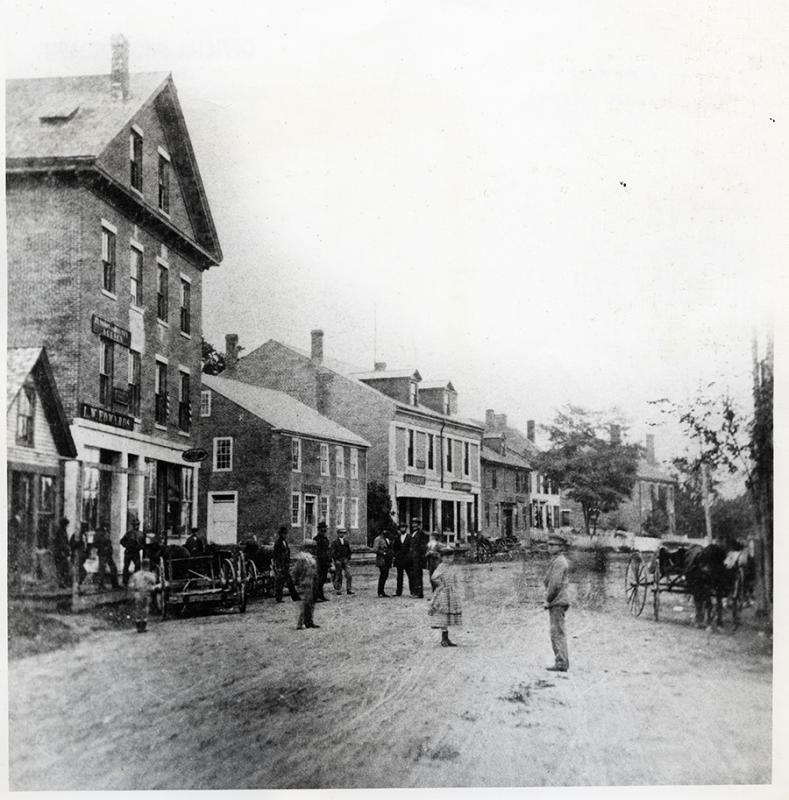 The shop sign "L. W. Edwards" can be seen on the left side of the street in this early photo of Main Street in Searsport, Maine. Look above the first floor windows of the three story brick building. The sign is dark colored and sits just above the white band. Lucy Edwards had a millinery shop in town as far back as the Civil War era. She was trained to use the first telegraph in Searsport and would announce the news of the War from in front of her shop.